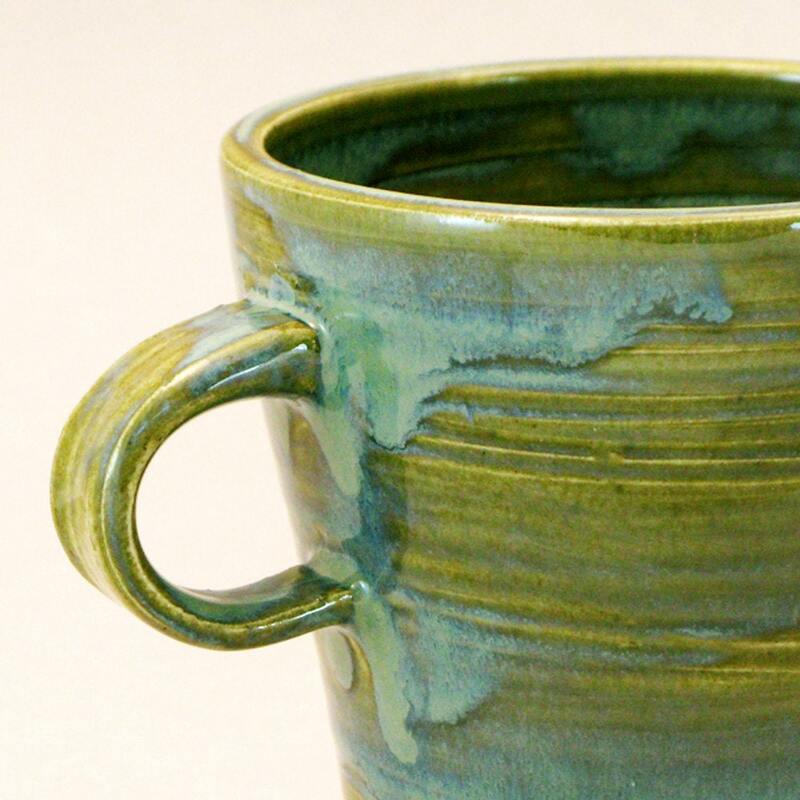 Pam McFadyen of Lurearts Pottery creates functional pottery and jewelry that is meant to be used every day. 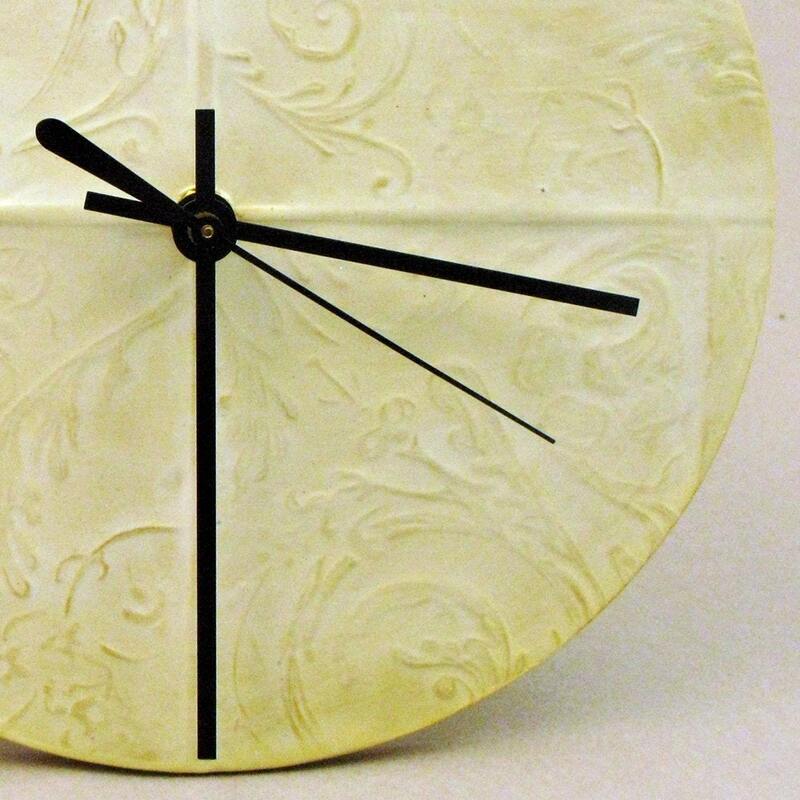 Works include rice bowls, mugs and serving vessels, but also clocks, pendants, and ceramic rings. Tell me about how you originally got into your craft, Pam. 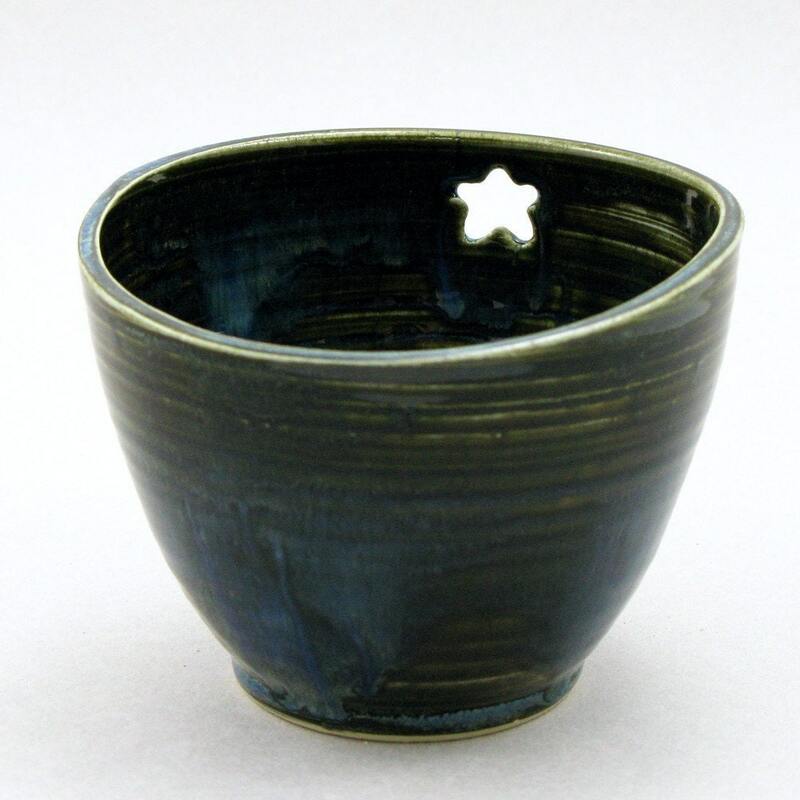 I've always loved making things but I didn't get into pottery until I was in University. Its like you always hear, I took one pottery class and I was hooked. Well, besides making pots, I love to dance. I was a dance instructor for quite a while until my body started breaking down. I still take drop-in lessons when I can find the time. I also love going to music gigs. There is something about live music that is addictive. Finding the time to do everything. There is so much more to do than to just making pots. Book keeping, ordering supplies, promotion, applications, organization, glaze chemistry...it all gets in the way of actually making things. Ooh, I love my new Soup and Sandwich sets. They are great for lunch and also those one-pot-meals that I make like curry with rice, pasta, or stew. I would like to commission an 8 place setting. For some reason I never get around to making full sets for myself. A ballerina or a teacher. I was fortunate enough to be both of those for a while. Pots, Pots and more pots. I have also been working on some photography with Resin so I may open a second shop on Etsy. Otherwise, if things kept on this way, I'd be pretty happy with my life.